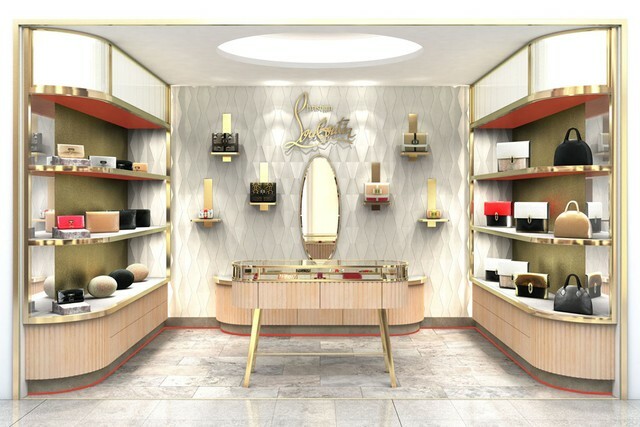 Louboutin has opened its first handbag concession, in London’s Harvey Nichols. Lovers of Louboutin’s red sole can find the handbag collection in a 108-square-foot space on the first floor of the department store, a shop which is close to the heart of the brand. Harvey Nicks was the first UK store to carry Christian Louboutin when it launched there in 1995, as well as the first location of a shoe concession, which opened in 2007. The space reflects the elegance and luxury we have come to expect from the label, with a tiled pale-silver floor and shelves lined with white leather showcasing the label’s handbag collections. In a nod to Louboutin’s famed red soles, the underneath of each shelf is painted a deep red. Louboutin’s collection of Sweet Charity bags, meanwhile, is displayed on plinths on the concession’s ceramic back wall.